I think, all traders know about Bollinger Bands developed by John Bollinger. They have much in common with moving average envelopes. But unlike the latter, the bands are based on the current market volatility. Bollinger Bands evaluate how far a short-term movement can go before it returns to a main trend. Major price fluctuations usually occur after the tightening of the bands as volatility is decreasing. Strong price movements usually occur after the bands are tightened to about the same level. 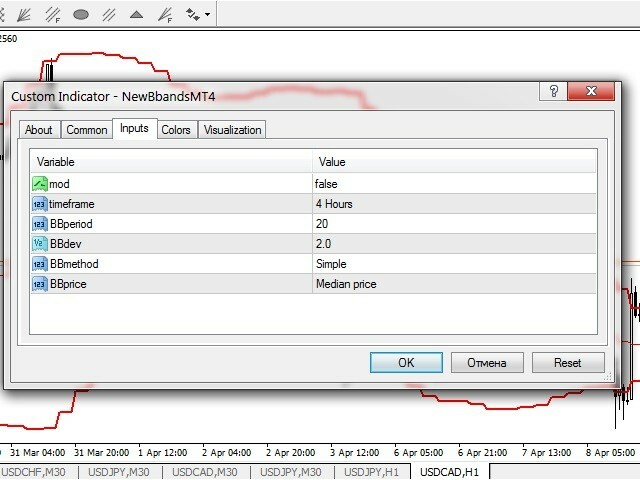 The bands can be used as support and resistance lines. It is believed that 95% of prices should be within the price corridor, while 5% should go beyond the bands. If the price breaks out upwards from the narrow corridor, it is a buy signal, while breaking out downwards is a sell one. Moreover, he states that it is more appropriate to change the bar interval for calculation periods less than 10 or more than 50. For example, if you need a calculation period less than 10 days, it would be more reasonable to move to hour bars instead of trying to compress the calculation period even further. Now, let's move on to NewBbandsMT4 indicator. What are its main differences from conventional Bollinger Bands? 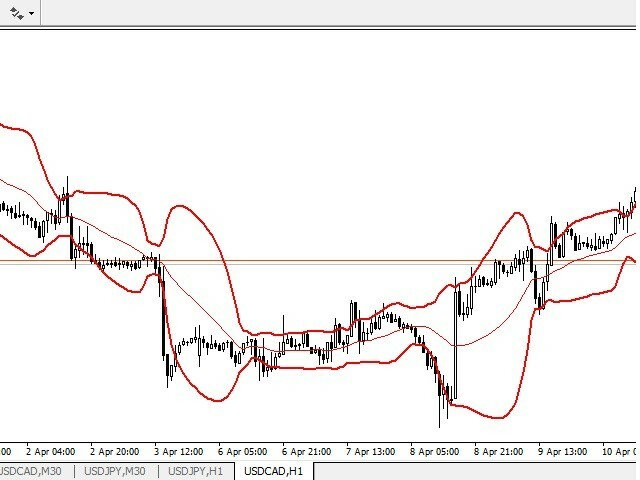 First, this indicator allows using both standard and modified Bollinger Bands. Second, the modified version forms more accurate support and resistance levels due to its step-type nature. Another feature is creating corridors. If the price goes beyond the corridor, it is considered to be a buy or sell signal. However, the corridor width should be filtered, for example, using ATR indicator (period 200). If the corridor width is less or equal to 2*ATR, the probability of strong breakthrough is high. If the width exceeds 2*ATR, much weaker breakthrough is expected. It turns out that conventional Bollinger Bands change their values quite often. That leads to the corridor width changing from bar to bar even during flats. The modified version has no such drawback. If a flat trend has formed, the corridor width is stable. 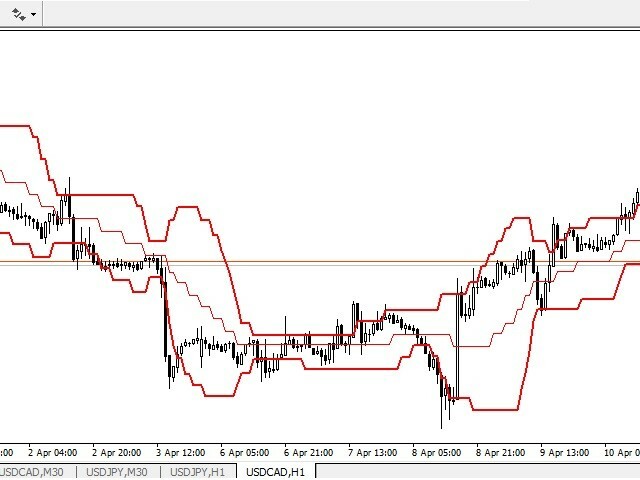 Another distinguishing feature is the ability to display the indicator values from higher timeframes on the working chart. BBprice – price type used in the indicator calculation. New mode "digits_type" - number of decimal places in the calculated data.